In the following post, we will gather all Magento 2 release notes starting from 1.0.0-beta. Since every release includes a plethora of improvements and changes, we’ve divided them into several subcategories, such as performance, payment methods, checkout, CMS, etc. These are the latest Magento 2 Release notes from the official repo. This release introduces significant improvements and various tools that enhance the developer experience: PWA Studio, alternatives to SOAP and REST, and a flexible frontend API that opens rich opportunities for the frontend, headless, and mobile development. Declarative schema – improved installation and upgrade procedures for Magento and extensions. Amazon Sales Channel – create and manage Amazon listings and fulfill your orders for both Amazon customers and your store visitors. Change in versioning for B2B product that lets matching the versioning of the core product. As you can see, the only unique feature is the PageBuilder. Other tools are the same for both Commerce and Open Source editions. As for the core product improvements, they are also similar. 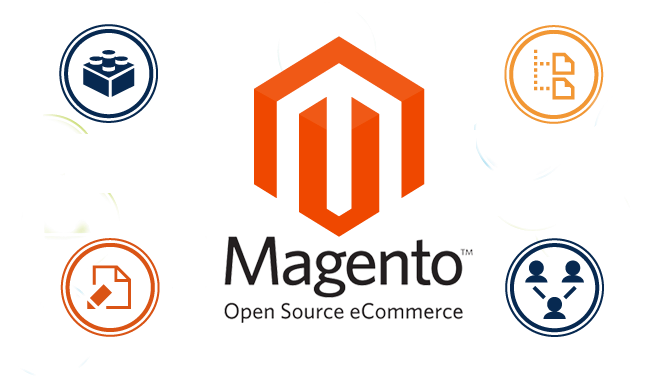 For further information, follow these links: Magento Open Source 2.3.0 Release Notes & Magento Commerce 2.3.0 Release Notes. Magento 2.2.6 has been just released, so we update this post with the latest data. There are 25 critical enhancements to product security, over 150 core code fixes and enhancements, and over 350 community-submitted pull requests included in the new version of the platform. 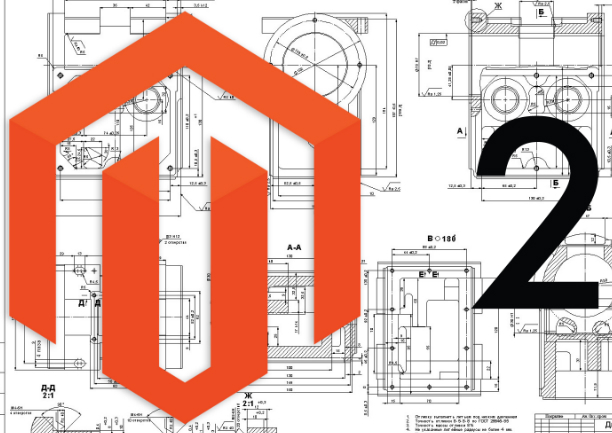 Of course, it is impossible to describe all of them in this article, but we highlight the most crucial ones as well as provide links for further exploration of Magento 2.2.6. Note that the provided security enhancements are a preventive measure: no confirmed attacks related to them have occurred to date. However, the reason to provide the update is quite usual: certain vulnerabilities can potentially be exploited to access customer information or take over administrator sessions. We face the same problem from one release to another. 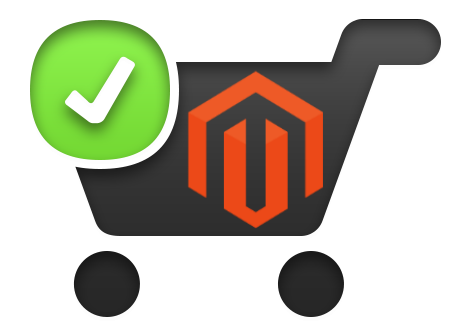 Hope that the security reasons are enough to upgrade your Magento software to the latest version as soon as possible. You can find all the corresponding issues discusses here: Magento Security Center. In addition to 25 critical security fixes, look for the following highlights in this release. It is also necessary to mention that both Open Source and Commerce editions got the same improvements. The core difference is related to some fixes of the Commerce edition-specific features. Let’s start the in-depth exploration of Magento 2.2.6. 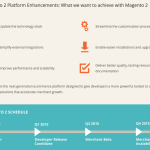 The Magento 2 platform gets new and new performance enhancements with each release and 2.2.6 is not an exception. Below, you can see multiple improvements in various key areas of the platform. Category product indexer logic has been essentially optimized. Thus, the re-indexing time has decreased up to 98%. It means that now it takes just one minute instead of 40 minutes for 100,000 categories. Previously, stores with huge catalogs were faced almost endless reindexing that could take up to an hour till the process is complete. First of all, it is necessary to remove pub/media/catalog/product/cache . Thus, you will free up some space. Next, run bin/magento catalog:image:resize to generate a new image cache. It is necessary because we’ve changed the path to cached images, so must remove the previously cached images. Another optimization is related to the catalog rule re-indexing. In the new version, the average re-indexing time which also depends on rule conditions has been improved essentially. 2.2.6 offers a more than 80% enhancement to its performance. Initially, this process took more than 20 minutes. Now, a full catalog rule re-index operation on a medium B2C store is 80% faster. Also, note that the catalog price indexer is now scoped and multithreaded. What does it mean? The performance of layered navigation, search, and indexing actions for Magento instances with multiple websites and stores has been enhanced substantially. Furthermore, it is now possible to parallelize catalog price indexing by websites and customer groups. How can we achieve the new functionality? By adding the MAGE_INDEXER_THREADS_COUNT environment variable to env.php. And you need much less time to load category or product pages for products that are configured with more than 500 attributes. The core reason for this improvement is the refactored logic for product attribute retrieval. It has resulted in a reduction of the load time of almost 90% for scenarios related to a large number of product attribute sets. In case of a single attribute set deployment with 500 attributes, you won’t notice essential performance improvements. However, deployments with many attribute sets that contain only a few attributes will show noticeable performance bump. Let’s take a look at some numbers to illustrate the new feature. Imagine that you have a deployment with 100 attribute sets. Each set contains at least 50 attributes. In this situation, the performance improvement is significant which results in up to 40-90% reduction of the load time. the structure of the top menu. And you can implement one simple trick to improve your store performance. Disable the Magento Report functionality. You will find the new configuration setting under System Configuration: General > Reports > General Options. The new Magento version allows disabling Magento Reports, which is recommended practice if your business does not require this capability. A better usability is represented by the resistance to page reloads. A shopping cart’s content, with which a customer comes to the final stage of buying, remains constant even when the checkout page is repeatedly reloaded. Previously, several checkout page reloads resulted in a completely emptied cart. As a result, the customer could not place the order. This problem primarily affected stores running on HTTPS. Now, you can upgrade to 2.2.6 to make the life of your customers better. Now, it is also possible to refresh the checkout page without deleting the shipping address during a guest checkout. Previously, when the persistent shopping cart was enabled, refreshing the checkout page wiped out information entered into form fields for a guest checkout. And the number of available shipping methods no longer affects the speed at which Magento places an order. Previously, this process could last more than 20 seconds if an order for which multiple shipping methods were available was placed. The checkout of Magento 2.2.6 is fast and furious! We should also draw your attention to the fact that configurable products are now sorted by visible prices. Everyone expected this. 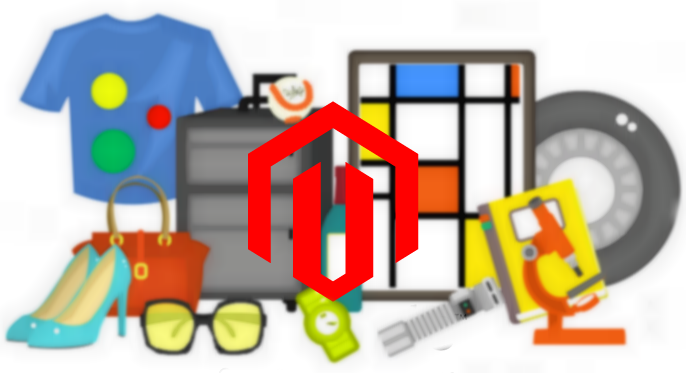 As for the previous Magento versions, sorting a catalog by price produced sort results that included the prices of out-of-stock products and disabled child products. You must admit that the new feature will make your catalog a way more user-friendly. And there are no duplicate delete requests resulted by an unstable Internet connection. Previously, unintentional mass deletion of products sometimes occurred as a result of an unstable Internet connection. With Magento 2.2.6, you can forever forget about this problem. A Docker Compose configuration has been added to the Cloud ece-tools repository in 2.2.6. Thus, deploying a local development environment is no longer a problem! There is also a robust merchant-oriented improvement. It is no longer necessary to export and import the configuration process to change store locales. Besides, a new workflow that improves the sitemap generation has been introduced in Magento 2.2.6. Now, it lets merchants add a robots.txt file and generate a sitemap.xml file for a single domain configuration without requiring a change to the infrastructure. At such rate, you will soon forget about the necessity to use third-party XML sitemap extensions! The new SCD_MATRIX environment variable has been added. It reduces the number of theme files necessary for the deployment so that Merchants can now define multiple locales for each theme. Zero-downtime deployment has been implemented. The basis of this new enhancement is a “connection holding” capability, which ensures no lost connections or site unavailability. As a result, you can provide customers with a smooth shopping experience even during deployments involving database schema changes. An issue that caused downtime between the deploy and post-deploy phase is fixed as well. Now, the post_deploy phase begins right after the deploy phase ends. No delays occur! Now, let’s highlight various community contributions and pay a separate attention to fixes that improve checkout flow and the sorting of simple products. A customer experience is more flexible in 2.2.6 than in the previous versions. Your clients can complete an order when it contains a configurable product with an option that is deleted after the product has been placed in the shopping cart. As you might have already faced previously, it was impossible to load the shopping cart after the configurable option was deleted. Thanks to community member jonshipman! GitHub-15467, you no longer have to worry about this issue. 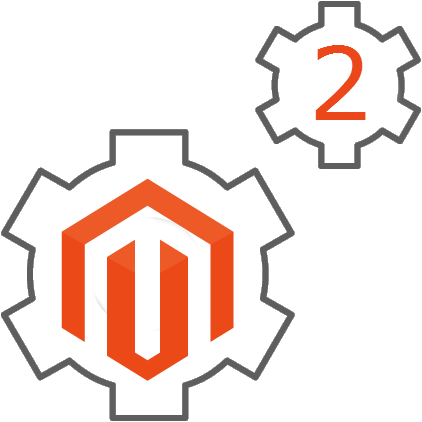 It is also necessary to mention that Magento 2.2.6 maintains the default sort order for products – which is “newest first” – when the Magento deployment is upgraded. Previously, the situation was the opposite. After the upgrade, the default product order in categories changed from “newest first” to “oldest first”. Thanks to community member Danny Verkade! GitHub-15627, your customers won’t face this trouble anymore. As a Magento merchant, you can now successfully change the applied theme setting for a store view under Content > Design > Configuration. You can say thank you to community member Daniel Ruf! Here is the improvement: GitHub-14968. The page load speed in Magento 2.2.6 has been improved since it no longer calculates product taxes when loading category pages. Jeroen proposed the optimisation here: GitHub-14941. When it comes to the core bundled extensions, Magento 2.2.6 offers a lot of new fixes as well. Let’s take a look at each extension. Enhancements to Amazon Pay affect four key areas. Firstly, it is the implementation of the Magento payment provider gateway. Developers finally have a robust tool for integrating stores with payment providers. This goal can be achieved faster and with the less effort in Magento 2.2.6. Secondly, the handling of virtual products has been improved as well. Thirdly, a new entry has been added to the Admin. The new feature allows displaying Amazon Pay in the list of payment options. Automatic which is a combination of Synchronous, if possible and Asynchronous. Magento 2.2.6 allows you to request and capture the consent of customers and guests using dotmailer’s new Consent Insight. The Magento contacts import is much more flexible now. You can import only those contacts who have opted in. For instance, customer, guest, and other subscribers. And get ready to see a warning alert if you are syncing non-subscribers into a dotmailer account. Thus, you will no longer do that occasionally. The fourth sphere of improvements is related to the retry process that now results after a failed attempt to access EDC. Not a huge list of enhancements but some very useful fixes. What else is available in Magento 2.2.6? The Klarna Payments section has been improved. Now. it includes a link to Klarna automated onboarding and account sign in. You must admit that it slightly improves the usability of the section. Some good news in the area of fraudulent orders! If an order is identified as such, Klarna will notify you with a request to stop the order from being delivered. Additionally, Klarna will try to cancel the order automatically by sending a notification. You can find more information regarding this feature here: Managing Your Account. The order management calls have been improved with shipping and discount order lines. The shipping details workflow has got a new enhancement in Magento 2.2.6. Now, Klarna passes them in capture requests. Besides, the Klarna API now returns the name and logo URL to use for each payment method. Previously, it was necessary to hard-code the payment method names into the module. You can also find the full description of the features mentioned above here: Klarna. Provide the new option as a shipping option to customers, enabling them to directly collect shipments from designated source locations or stores. At the same time, you can still rely on third-party click and collect extensions. Configure multiple source locations available for Click & Collect pick-ups. Leverage updates to Shipment Form for UPS (currently, the feature is available for the US only). Note that customers can select Click & Collect locations during checkout. 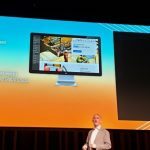 The feature supports workflows and notifications for Click & Collect pick-up, packing, and collection. Batch Processing provides merchants with several new improvements as well. Thus, you can freely specify and modify packages and experiences for orders assigned to a batch. Next, it is possible to book shipments for a batch. And Magento 2.2.6 allows you to print all packing slips and printing labels for the batch. There is also the new Shipment Reference field that associates bookings between a carrier and a customer. Unfortunately, the Magento Social Facebook integration has been removed. The extension is no longer supported, but you can always rely on third-party modules. In addition to the features mentioned above, this release contains lots of fixes. You can view all of them here: Magento Commerce 2.2.6 Release Notes and Magento Open Source 2.2.6 Release Notes. As you can see, nothing bad has happened to Magento 2 after the Adobe acquisition. Both Open Source and Commerce versions get lots of new features and enhancements. Furthermore, extension providers still have lots of areas that can be improved with their products. And when some old features are eliminated, it is not a reason to panic: there is always a reliable third-party replacement. Even if any new features are implemented, they are usually not as powerful as the existing solutions. The Magento ecosystem is still growing and nothing will stop it! Multiple enhancements developed to close stored XSS, SQL injection, and CSRF vulnerabilities. Resolution of issues caused after upgrading to Magento 2.2.4 in deployments that span multiple websites. Now, Magento multi-store installations use the store view-specific values from the store configuration settings. The ability to run the catalog search full-text indexer and category product indexer in parallel mode by store view. The indexer:reindex execution time is decreased. Indexing performance improvement up to 15% due to the refactoring of the catalog full-text indexer for profiles with 600,000+ products and catalogs with 5,000+ configurable products and 500+ options. Improved swatch product attributes behavior leads to the increase of the search result page performance by 31% for catalogs with many configurable product options. It is possible to create a new customer account from the Order Confirmation page. Coupon codes that exclude bundle products are applied correctly now. Previously, bundle products were not excluded. Simple products are sorted by a regular price when catalog promo price rule is applied. The same is about simple products with a required custom option. Now, merchants can select carriers for returns. Besides, it is possible to send a return label along with forwarding fulfillment. Batch processing leads to a significant rise in processing a large volume of shipments. Customers can designate a drop point rather than a residence for delivery by a carrier with the help of collection points. As for other fixes and improvements, you can discover them here: Magento Commerce 2.2.5 Release Notes and Magento Open Source 2.2.5 Release Notes. The new Magento 2 version has just arrived. 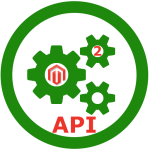 Published on May 2, 2018, Magento 2.2.4 brings lots of features described below. The release includes numerous tools, enhancements, and features. And don’t forget about community contributions. The core highlights are described below. New modules out-of-the-box. Improved tax and shipping calculations right from the cart with the help of Amazon Pay, Vertex, and Klarna Payments. Magento Shipping and dotmailer improvements. Performance improvements and numerous fixes and enhancements to core features.. The Improved admin global search is now extensible, translatable, and takes the ACL settings for the current user into account. An automated checker that enforces the short array syntax convention in a new code. Dedicated payment and shipping debug log files that store functional area-specific information. The is_null replacement with strict comparison only for models and block in Catalog, Tax, Sales, and EAV. The dotmailer bundled extension also has several important enhancements. You can discover them below. Enhancements in the area of validation for deletion of cron job CSV files. You can discover more fixes and improvements here: Official Release Notes. It is also necessary to draw your attention to the release notes of Magento Commerce 2.2.4. The new version was also released on May 2, 2018, and you can find its core features below. The situation with new bundled extensions is just the same as we’ve mentioned above: they add instant and accurate tax and shipping calculations right from the cart with the help of Amazon Pay, Vertex, and Klarna Payments. Magento Shipping and dotmailer bundled extensions have been updated as well. Numerous fixes and performance improvements have been introduced with Magento Commerce 2.2.4. Almost 200 community contributions became a part of the new version. Not full-fledged features or bug fixes are described below. The admin global search enhancement leads to a translatable and extensible experience that takes the ACL settings for the current user into account. The CyberSource payment method has been added to the multi-shipping checkout flow. This is a Magento Commerce-specific feature. The Multishipping module has been improved so that the integration process for other payment methods is more developer-friendly. The automated Magento checker enforces the short array syntax convention via a new code that complies with all requirements of PSR-2. Dedicated payment and shipping debug log files have been added. Now, they store information specific to those functional areas. The Emogrifier dependency update to 2.0.0+. Originally, the official release notes for Magento Open Source 2.2.3 were published on February 27, 2018, and updated on March 22, 2018. The 2.2.3 version includes 35 enhancements to multiple key areas including product security, the Magento Admin, shipping changes, and a copyright update. The key security improvement of 2.2.3 limits the ability to use symlinks for /media and other folders. Thus, the use of symlinks for deployment or in /media may lead to problems with uploading or removing images. Due to numerous security enhancements, 2.2.3 fixed vulnerabilities in cross-site request forgery (CSRF), unauthorized data leaks, and authenticated Admin user remote code execution. Elasticsearch 5.x is now supported. The latest USPS shipping changes are supported in the Magento Admin. Cache management tasks managed through the Magento Admin get a better control system. With the Magento 2.2.3 Open Source, multiple security enhancements have been introduced. They fix numerous vulnerabilities. Luckily, no confirmed attacks related to the fixed issues have occurred. See Magento Security Center for more information. All release notes and fixes are available here: Magento Open Source 2.2.3. Magento Commerce updates introduced in 2.2.3 are just the same as in Magento Open Source. Originally, the official release notes for Magento Commerce 2.2.3 were published on February 27, 2018. The update goes back to March 22, 2018. The 2.2.3 version includes numerous enhancements to various key areas. Although the core vector of the update is product security, it also includes enhancements related to the Magento Admin, shipping, and a copyright. Note that in 2.2.3, the ability to use symlinks for /media and other folders is limited due to security reasons. Thus, the use of symlinks for deployment or in /media may lead to problems while uploading or removing images. authenticated Admin user remote code execution. The support for Elasticsearch 5.x has been introduced in 2.2.3. The Magento Admin now supports the latest USPS shipping changes. A better control system for cache management tasks managed in the Magento Admin has been introduced. With the Magento 2.2.3 Commerce, multiple security enhancements became a part of the platform fixing numerous vulnerabilities. Luckily, no confirmed attacks related to the fixed issues have occurred. You can find more details in the Magento Security Center. All release notes and fixes are described here: Magento Commerce 2.2.3. Magento Functional Testing Framework: the cross-platform testing solution to facilitate functional testing and minimize efforts to perform regression testing; get more information here: Introduction to Magento Functional Testing Framework. Besides, the update includes 100+ community-submitted bug fixes and multiple pull requests. For any further information, go here: Magento Commerce 2.2.2 Release Notes. Magento 2.2.2 Open Source got the same update. You can check this out for yourself here: Magento Open Source 2.2.2 Release Notes. Copyright date update in every file – no functional or security changes. More efficient processing of large catalogs. 2 web APIs for the Sales module. Several functional fixes and improvements in the area of static assets deployment. Magento Community Edition 2.1.0 General Availability has been released recently. And since it includes tons of fixes, enhancements, and improvements, we are here to shed light on them. Check the following update to discover all new features that are now available in Magento 2.1.0. Improved Management Interfaces (better search and improved creation of products, categories, and CMS content). 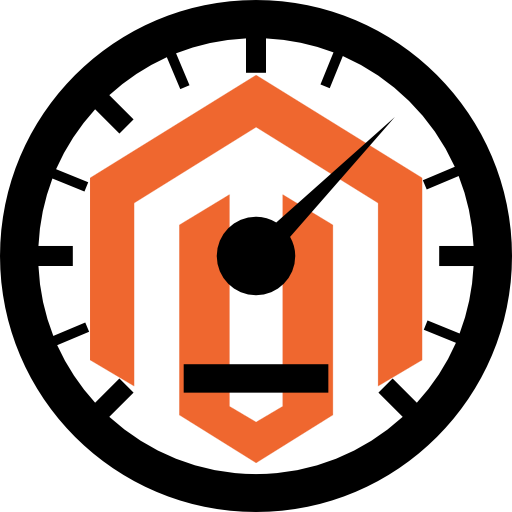 On our website, we have a separate post about security vulnerabilities of Magento. You might have read about all these patches that should be installed to protect precise data. Otherwise, malefactors can access customer information or take over administrator sessions. Therefore, it is recommend to upgrade your Magento software to the latest version as soon as possible, since it includes lots of security improvements. And Magento 2.1.0 is not an exception, so hurry up to upgrade your store. In case of registered users, a cart returns a complete list of products. Fixed amount discount can be created for an entire cart. Cart Price Rules now support coupon codes generation. Redundant GET requests are no longer performed if there are items in a shopping cart. Date/time fields now work as expected. Exceptions are logged in a file under var/report (in default mode). Cart has been fixed, so rates for custom shipping methods are updated and listed as expected when you change the shipping address: GITHUB-4679. Reordering a product with a required custom option (type = file) no longer causes an error when opening the shopping cart: GITHUB-4058. A customer is not logged out after clicking the Go to Checkout link and then clicking the Shopping Cart link. Discounts have been fixed, so they behave consistently. Conditions can be seamlessly saved in Create Cart Price Rules. It is possible to log out with the enabled persistent shopping cart functionality. Shopping cart shipping estimation has been fixed as well: it no longer fails randomly. Downloadable products are now supported by Magento 2, so you can easily create them. It is possible to place an order for an item in case its amount exceeds half of item’s stock. Maestro credit cards got better conditions: they can pass validation on the app server side. Click on a swatch and you will see that product images are switched as expected. After canceling an order with the Worldpay payment method, quotes are no longer lost. Catalog Price Rules are applied as expected. The Customer Address tab was also improved. Now, it works as it should. The same is about the Force Sign-in button. Shipping_discount_amount is converted to different currencies: GITHUB-2708. Downloadable products are not only supported, but no longer shown as out of stock on category pages. Product assigned to more than one website can be saved. Loading directories that contain products with Swatches perform better. Simple products support a new row that can be added to a Custom Option of Input Type. The creation of a configurable product no longer duplicates URL keys. It is possible to reset a Product Attributes mass update Admin form. Creating a simple product, you can add custom options. It is possible to save a product after applying an update. The system allows you to configure a product whose last attribute has a price of zero: GITHUB-3912. It is possible to left optional dropdown product attributes blank. Configurable products can be viewed when using sample data. All product attributes are available in layered navigation. Entries in the Product Reviews report can be filtered by date. An existing variation of a configurable product can be updated. An issue with incorrect or missing scope labels has been fixed (it appeared on the Product Creation/Editing page). Unexpected calls are no longer made while viewing a product in the storefront. Correct product prices are displayed on the Configurable product page when catalog prices include tax: GITHUB-2471. Products > Catalog “Change status” problems were fixed: GITHUB-1559. Search performance has been improved. Using fewer than the minimal required characters in a search query no longer leads to a fatal error. Search input on themes via the Blank theme works as it should: GITHUB-4282. Synonyms have been also improved: GITHUB-2519. Several address-related issues have been fixed. Customers save their address as well as add a new address during checkout. Reorder and Go to Checkout buttons work as expected. Checkout also works as expected if you purchase products during a persisted session. Unnecessary redirects to checkout page after Sign-in have been eliminated. Information about the country selected in the address in the checkout flow is now provided. Custom customer attributes are saved. Loader disappears after clicking the Place Order button. An error related to a changed base currency at checkout has been fixed as well. Opening My Cart page in one-page checkout no longer causes a problem. The Payflow Pro payment method is fully supported. The ‘Create an Account’ form also works as it should after checkout has been completed. Cart price rules for payment method conditions are now applied. The contents of the Magento var/session directory are now ignored by system upgrades. Magento CLI commands can be run without a composer.json file. A non-default MySQL listen port can be successfully utilized for Magento upgrades: GITHUB-4548, 2735, 4275, 3529. No data is lost during the upgrade: GITHUB-4054, 3951, 3097, 3249. Upgrade correctly updates the product version. Upgrading to Magento 2.0.4 no longer causes issues: GITHUB-3951. Better installation performance due to compressed packages on repo.magento.com. Web Setup Wizard can not be run by a user with limited access to the admin. An exception is no longer thrown after installing optional sample data. The Magento_CustomerBalanceSampleData module can be successfully installed. The Component Manager has been also improved. Now, it displays component versions compatible with the version of your Magento software. The Magento software can be successfully uninstalled after an incomplete installation. Optional sample data installation issues are fixed. Integration tests can be run on Microsoft Windows without previous issues. The magento setup:di:compile command was also improved: GITHUB-3824. You can manually unselect the DownloadableStaging during installation. This no longer throws a fatal error. 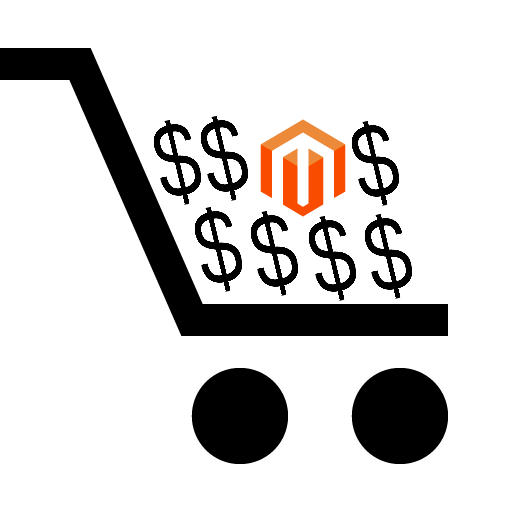 It is possible to install Magento via a setup URL with a port number: GITHUB-2272. Hyphens and dashes are accepted by the Magento CLI setup:config:set : GITHUB-2700. Running it no longer deletes values in addition to running an update: GITHUB-2852. Problems with Magento Community Edition 2.0.4 with Sample Data.tar.bz2 were fixed. This 204 MB download now works: GITHUB-4090. NGINX configuration does not require the MAGE_MODE environment variable as a mandatory server config variable. .gitignore is now a part of the project package: GITHUB-4358. All files are now compiled by the setup:di:compile script as expected: GITHUB-2888. When defined as optional, attribute ‘setup_version’ is missing for the module error: (GITHUB-1493). For further information on fixes and updates related to bundle products, import/export, messages and documentation, admin, API, and other areas of Magento 2, check this official release notes: Magento 2.1.0 Release Notes. As for known issues of the new version, the Cart Price rules are not applied to total amount/item conditions: GITHUB-5025. Both Enterprise and Community Editions of Magento 2.0.4 include a lot of security enhancements and performance improvements. Download and install the latest software version to ensure that you receive all security enhancements. Implement the new version in a development environment first. After you will confirm that it works as expected, deploy it to a production store. APPSEC-1379 – reflected cross-site scripting in the Authorize.net module which has several parameters vulnerable to reflected XSS attacks. APPSEC-1337 – arbitrary PHP code execution via language packs. If a user installs a malicious language package, an attacker gets extra access to a store. APPSEC-1377 – password guesses are not limited in admin and customer token APIs providing an opportunity for brute force attempts to guess passwords. APPSEC-1378 – Web API allows anonymous users to access data about products, promotions, and storefronts. APPSEC-1303 – encryption keys generated on the Manage Encryption Key page are very weak. A problem with sample data deployment after running “composer create-project” has been fixed. An issue with reviews has been fixed: no longer someone can edit someone else’s reviews. The same is about orders: no longer someone can vies someone else’s order details. Price rule is now applied to a product created via Web API. An empty file is no longer uploaded to custom option. Minicart now clears after completing an order with PayPal. The problem of plugin incorrect calls is fixed as well. Travis CI builds do not fail anymore (due to authentication). Custom options related to configurable products are calculated correctly. In 2.0.1 everything is ok with modifying a category if you use on store view level. URL rewrites now work correctly for sample data. The problem of BaseURL in static files is also solved. UI Form Component supports a customer’s custom attribute of ‘file’ type. bin/magento setup:upgrade clears cache properly. And you can freely run category creation from product page with Google Chrome Experiments enabled. Information related to the country selected in address is now available in checkout flow. Customer segments no longer prevent page from caching. And there are no any problems with multi-store implementations related to an imported product with replace behaviour. Everything is also ok with url_key validation during import. “Learn More” link for Payments Pro leads to the correct source now. A JS error does not appear anymore if loading a product grid right after clearing static files and cache. #2519 – synonyms now work with Magento 2.0. #2675 – admin order creation now worcs correctly when config include Tax In Order Total. #2471 – the problem of incorrect prices which appeared on configurable product page if catalog prices included tax is now fixed. #2674 – plugins/interceptors now work with early stage single instance objects. #2888 – all files are pre-compiled. Сustomer edit form now works with normal performance. The same is about swatch module. A few security-related problems are solved. The latest USPS API is supported. The tech stack of Magento 2 Community edition is based on PHP frameworks and efficient coding patterns. With a modular code base structure, the platform offers fine-grain customizations as well as the ability to easily add new or replace available features. Service contracts also introduce a major architectural innovation. The new feature provide stable interfaces that ensure seamless upgrades and simplify various code customizations. As for theming and layout framework, they provide the ability to rapidly change the way your Magento 2 website looks like for the needs of seasonal campaigns, market expansions, or product presentations. There are also new extensive and more efficient APIs for promotions and taxes. As for the old ones, they were revamped for better integration with third party solutions. And due to automated testing, the system offers essentially enhanced code quality and accelerated QA process. Consequently, Magento 2 shows much faster time to market than its predecessor. As for new quarterly releases, merchants can easily implement them adding new functionality to a store. As for server-side improvements, they include integrated Apache Varnish caching with minimal tuning, which leads to much faster performance. Key subsystems for such processes as order management, checkout, or product management now has standalone databases. Combined with the MySQL Cluster support, they enable marvelous scalability. And after serious backend improvements, Magento 2 enable larger teams to update product, process orders, and perform other tasks simultaneously without reduced performance. Magento 2 offers a new intuitive admin interface, which provides the ability not only to manage daily tasks, but to monitor business performance. And it is touch-friendly now! Besides, everyone can customize and save various Admin panel views. This feature not only simplify daily routine tasks of administrators, but essentially reduce time required for managing products, processing orders, or analyzing customer data. There is also a new tool for step-by-step product creation which enables faster operations with products. As for improved product data import capabilities, they speed up the process of sending data up to 4 times. The checkout is essentially minimized in Magento 2. Now it is much faster, consists of less steps, and requires minimum information. Registered customers are recognized and offered to check out faster. Now, it is possible to create an account from the order Thank You page in just one click. A shopping cart now shows a detailed order summary, including images. Such an improvement encourages shoppers to complete checkout. 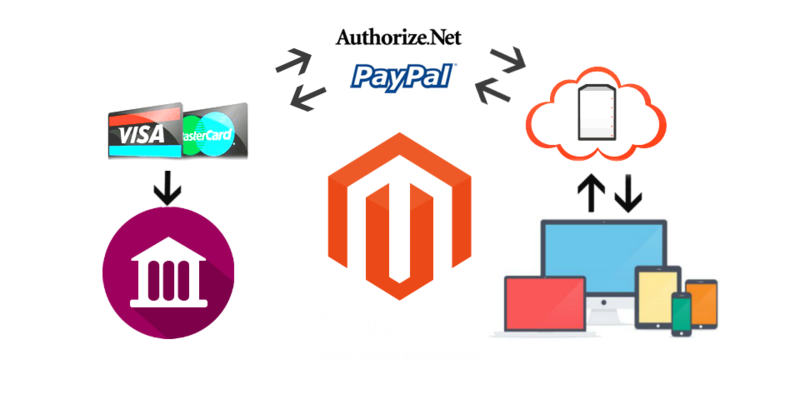 Magento 2 features out-of-the-box integration with key payment gateways as well as provides the ability to send payment information from the browser to the gateway in order t improve security. The system include such themes as Blank and Luma. They allow merchants to create engaging and SEO-optimized shopping experiences faster. Check this official documentation to find out both fixed and known issues. 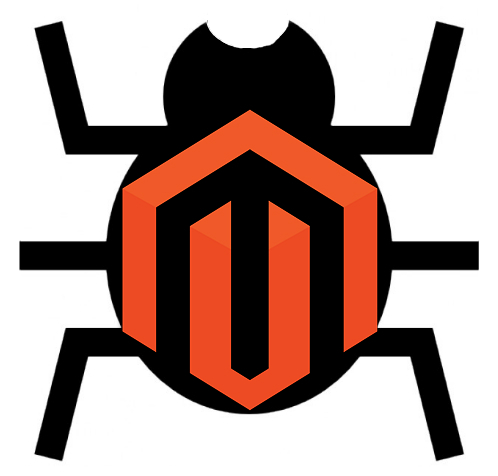 A plethora of bugs have been fixed in Magento 2.0.0-RC2. Below, you will find a full list of improvements. A problem with video playback on Apple mobile devices (iPad and iPhone) has been fixed. You might have noticed that Admin panel in 2.0.0-RC was not accessible in case when port was used in URL. Now, this no longer an issue. Another useful improvement is related to database name. In the previous release it could not be changed after installation process. The problem has been successfully fixed. In 2.0.0-RC2 it is also possible to save bundle items quantities while working in a wishlist and editing a bundle product. This was impossible in the first RC. As for the PHP issue related to Text Swatch product attribute creation, it has also remained in 2.0.0-RC. Mini Shopping Cart resizing is fixed as well. If you worry about a negative subtotal in a PayPal checkout, it’s time to breathe freely, because the issue has been eliminated. The same is about an inconsistent credit card validation process. You might have noticed that in 2.0.0-RC in the full-screen view the Product Gallery did not completely overlay the bottom layer. Now, it is displayed correctly. Besides, the Product Gallery can be easily opened in the full-screen mode now. The “+” icon is not shown on a video preview hover anymore. And the preview is not visible under a video player. Another improvement is related to swatches. Earlier, the ‘Admin’ field was not required for a new Swatch. It is also necessary to mention that in 2.0.0-RC not all information was transmitted to PayPal. The problem mainly involved shipping and billing country data. Now it is fixed. A configurable products attribute issue has been fixed. Load time of a category page has been improved. The visible area in Admin was revamped. The space outside has been removed. Session response in JSON now works correctly. Product import with the replaced behavior has been improved. URL rewrites work as expected. Earlier, rewrites in catalog categories were wrong after URL key in certain cases. JSON does not replace a normal page anymore when you are trying to delete a category after reset. The product API with “all” store code now functions properly. Another fixed issue is related to the misleading system message on invalid indexers. You might have noticed that a bundle product created via Web API was not visible in 2.0.0-RC. The problem has been fixed now. Now, it is possible to save more than one configuration for every configurable product with a text swatch attribute. Data modification in an export result file has been revamped as well. With the new update, you can forget about the incorrect behavior of the required checkbox. An exception is no longer thrown when you are trying to install Magento after you’ve already uninstalled it. Now, after changing the layout of a CMS page, its design is not replaced with Magento Blank. CMS pages API now works with store code and CMS blocks API works for multiple websites. As for XSS Payload, you can easily save it into Admin Panel and it works correctly in a website’s translation table. You can add a new swatch attribute without any hesitations about errors that previously persisted even after deleting the attribute. PHP notice is also fixed. In 2.0.0-RC it appeared during the creation of a text swatch product attribute. If you’ve tried to export data to CSV, you might have noticed a JS error on credit memo view grid. In RC2 it has been fixed. Now, nobody is redirected to a blank page after canceling the PayPal Express checkout. And it is possible to checkout with the enabled Persistent Shopping Cart as well as complete the Braintree PayPal Checkout with the empty Street line 2. All payment methods introduce valuable information in Magento 2.0.0-RC2. Minimized observer object loading time due to refactored observer classes that satisfy such requirement as single-responsibility. Enhanced performance of both catalog advanced search and catalog quick search. Better data loading and stores initialization. Optimized table rendering and sample data. eWay payment gateway has been revamped. It supports responsive shared page APIs as well as client side encryption. PayPal Express Checkout relies on PayPal best practices. Braintree payment method introduces a new UI . The persistence of a shopping cart. Improved settings for Terms and Conditions. New error handling and collect totals mechanisms. Checkout credit card now has a new form. Now, it is possible to manage the list of variations via wizard. Alternatively, you can perform this procedure manually. You can also manage the list of variations based on moving attributes. Notifications during such processes as product information management; product template set while saving a product. Mass action update now has the ability to update product data. Each attribute now has the “remove attribute” button. Grouped price has been removed from product creation functionality. Data grids now have controls and a sticky header. Data grid filters offer multiple select. Data grids offers the ability to change the width of a column and supports both inline and bulk inline editing. API calls support store codes. 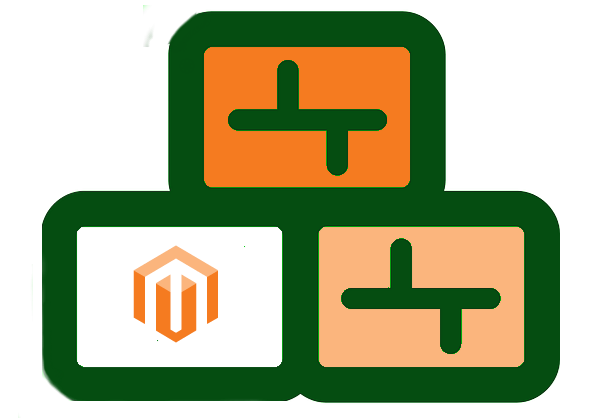 It is possible to update Magento to a particular version, enable/disable modules, and use maintenance mode. Webapi payload processors now have the common interface. The Search API is situated in the Search Framework library instead of the Search module. Observer interface now has improved observer classes. The intl extension is compatible with HHVM. The generation of catalog images is improved. 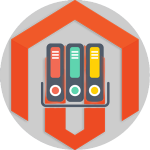 It is possible to use the vendor directory for storing Magento code. URN schema is now supported in configuration files. Input and modification data in pop-ups has been simplified because of a new Model Windows component. In Global JS Widgets Library, there is a gallery widget with MVP functionality. The migration tool is included into Magento CLI. Data grids support inline editing. Data grids mass actions have been updated. Data grids now support export as well as full text search in Admin. Automated API documentation creation is now possible due to the schema generation of the Swagger REST API. And you can easily generate a page designed to report REST APIs. Webapidoc module provides the ability to create on-the-fly API documentation. The feature is possible for particular Magento instances. Inline translation is supported in Magento UI components. Sales data grid has a new data grid component. And there is a unified database resource connections interface in 2.0.0-RC. The escaped string rendering mechanism. Such attributes as @remove and @display are now added for handling blocks and containers appearance. Purge requests can be send for multiple servers. Deprecated code has been removed from Magento/Framework and modules. A bunch of independent template hints for both admin and storefront are now a part of the ecommerce platform. The Web Installation Wizard was improved in terms of both wording and extensions styles. The Install Components functionality has been added. Besides, it is possible to control such an important parameter as the access to the setup tool. Sample data installation has been significantly revamped. As for the sample itself, it has been updated with color swatches, Product Heros, MAP, as well as based product relations. Sample data flow has been also updated. While installing sample data, you can easily to log errors as well as set error flags. Platinum integration partners now have a dashboard. Downloadable products UI has been improved, so similar experience with other product types is now possible. Responsive and localized email templates. WebApi now offers country list as well as store and currency information. Multi-actions APIs for discount coupon generation and search. Filter components can be declared inside the datagrid column definition. Populating system packages relies on consolidated algorithms during upgrade and other tasks. Different accessibility improvements have been introduced in 2.0.0-RC. The default storefront theme is Luma. Grid store selectors have been refactored and introduce better unification. Magento UI Library has been also refactored, so it is possible use the ‘lib-‘ prefix in all library mixins now. As for refactored styles, they provide the ability to reduce log file errors after the execution of static files deployment. Component Manager introduces improved UX. Unit tests have better JS and PHP code coverage in 2.0.0-RC. 1.0.0-beta introduced a new way the method’s return type is derived while the WSDL generation procedure runs. And it is possible to retrieve a list of endpoints. Enhanced Data Grids from CMS now have a search field. Search Indexer interface was implemented in 1.0.0-beta. The same is about XML declaration. Search module API helps to improve the search functionality. Product attributes have been changed: they have different weight, and this parameter is set by default. Full text index has been implemented per each store. Search API is in the Search module instead of the Catalog. The infrastructure of the payment gateway has been improved. The GoogleShopping module has been removed. Fraud status order processing has been revamped. Magento’s Product grid and Sales module are enhanced with a new grid component. An account can be created during or right after the checkout. Coupon code URL works for empty carts. Admin-icons font has new icons. Email markup duplication has been eliminated. Email content management is enhanced with improved footer and header content as well as styles.